Product categories of Custom Ring, we are specialized manufacturers from China, Custom Ring, Custom Gold Ring suppliers/factory, wholesale high-quality products of Custom Diamond Ring R & D and manufacturing, we have the perfect after-sales service and technical support. Look forward to your cooperation! 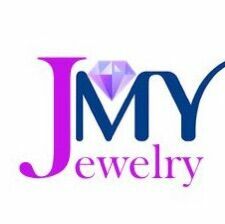 The JMY Custom Ring collection ranges from simple to bold colorful creations,all of which feature the brand's renowned precision cut clear and colors. The stunning JMY ring collection, represented first and foremost by the Stainless Steel Skull Ring, available in a wide array of shinning colors, also features simple but beautiful designs. Bold and beautiful Black Diamond exclusive special technique represent a few of the exceptional rings from the JMY collection.Worn individually or matched with the brand`s innovative selection of necklaces and bracelets, the magnificent pieces from the JMY ring collection represent modern luxury design at its best and afford the contemporary woman an incredible selection of accessories to add sparkle to any outfit.